OPPORTUNITY.... Set in a peaceful Cul de Sac on Phase I of Hacienda del Alamo, 3 bed, 2 bath bungalow with the accommodation all on one level, surrounded by private gardens and terraces with private pool, off street parking, carport, ideal family holiday home. Open views to the 17th tee and fairway. 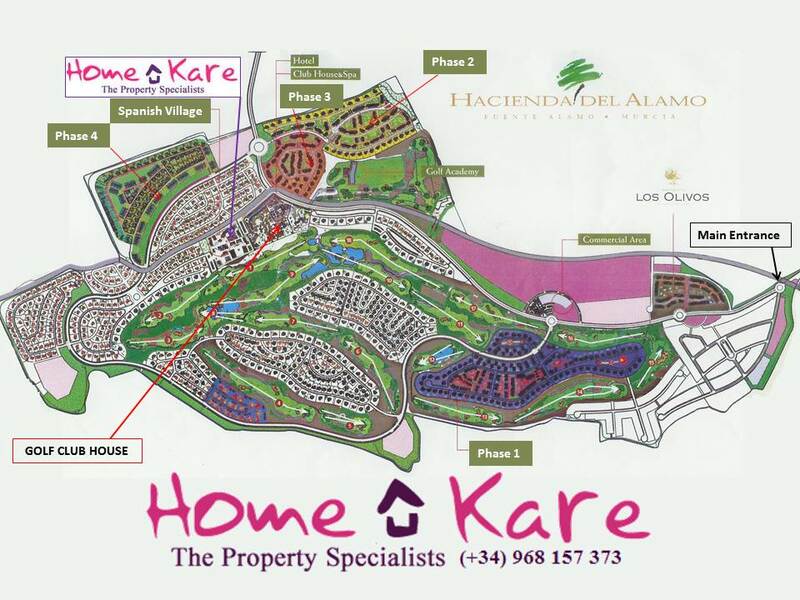 Centered on a large manageable plot here at Hacienda del at the entrance to a quiet 'Cul de Sac' giving open and panoramic views over the Gold Course. Beautifully landscaped plot, low maintenance using an abundance of sub-tropical trees and shrubs to create an oasis within an oasis, large private swimming pool with excellent privacy and a multitude of areas offering as much sunshine or shade that you could desire. The combined lounge and dining area are a center point to the property, a fully fitted kitchen is showcased in the dining area with an open 'show kitchen' type breakfast bar. Full range of kitchen units and appliance's with granite work surfaces, a very usable space whilst entertaining or looking after the family. A popular choice of house style for many here at Hacienda del Alamo, this Arrecife with an official constructed area of 142sq.m feels much bigger as the Southerly orientation allows the light to enter the villa on several levels, whilst the outside space offers the possibility of bringing outside in! With some of the best golf practice facilities here in Murcia, (Covered and open 50 bay, two tier driving range, short game and putting greens) just a gentle 10 minute stroll from the villa, compliment by a full size 6 hole Academy Course, there really is no excuse not to improve your game. HDA sports Centre with tennis courts, a full sized football pitch, all weather five a side pitch and paddle courts is also located within a short car journey. We have 4 junior football teams that train and play from HDA and during our long summer breaks, daily sports activities are organized at the Sports centre to keep the residents children occupied!